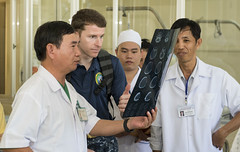 The second Vietnam mission stop of this year's Pacific Partnership mission wrapped up May 29 after 10 days of activities focused on disaster response and relationship building. 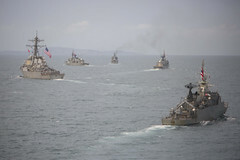 The 23rd annual Cooperation Afloat Readiness and Training (CARAT) exercise series commenced in Sattahip, Thailand, May 29. 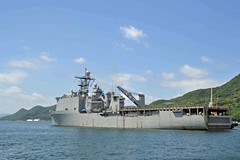 The amphibious dock landing ship departed its forward-deployed base of Sasebo, Japan, for a routine patrol, May 26. 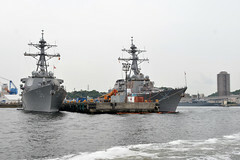 The forward-deployed guided-missile cruiser passed all readiness requirements for a materiel assessment conducted by the Navy's Board of Inspection and Survey, May 25. 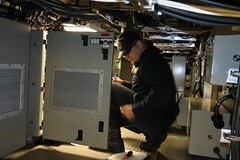 Carrier Air Wing 5 completed carrier qualifications aboard the Navy's forward-deployed aircraft carrier, May 22. 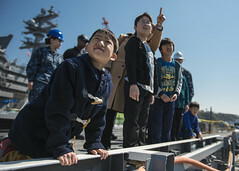 The Navy’s forward-deployed aircraft carrier and its Sailors have received the Zenkokai Associaton Award for work in the local community. The U.S. Navy's Independence-variant littoral combat ship completed Final Contract Trials, May 19. 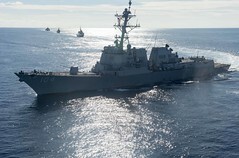 The U.S. Navy and Royal Thai Navy are executing Guardian Sea, an anti-submarine and maritime domain awareness exercise, in the Andaman Sea, May 22. 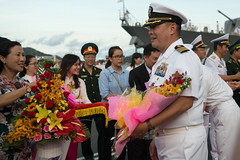 Pacific Partnership kicked off in Khanh Hoa province, Vietnam, May 19, with the arrival of the U.S. expeditionary fast transport ship USNS Fall River (T-EPF 4). 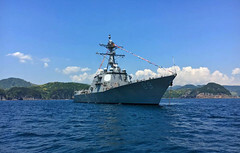 The forward-deployed guided-missile destroyer arrived in Shimoda, May 18, to celebrate the 78th annual Black Ship Festival.